An extremely easy application to use on a mobile device. First of all, it is free so there are no coast’s associated with the application. Once the application has been download the user has to key in their mobile phone number and then a message will be sent to their phone. A code will be provided for the user to get access to the application and start using the hangouts application. Once the application on your mobile phone has been installed it gives you three options. The first is a video call followed by new group and lastly new conversation. All the user has to do is pick one and they start to enjoy the services of the phone. This is not an application that would be recommended for businesses or for educational use. This application is more tailored towards individual use. The only thing that I can recommend for the application to be used for in relations to educational purposes is to have video chat’s. Viber is a free messaging application that allows individuals to communicate and have fun as they talk. Viber has a message face in which has a discussion board, contacts and calls. Furthermore, users of the application are able to find and join groups to enter into discussions. Allowing the user to engage in a variety of videos and shared content. As to add on other individuals onto the service all that is required is for the user to send an invite to someone who also has the application. Moreover, phone calls and video calls are free as the service only requires internet connection. Thus, if the user’s friends are international then calling their friends will be like you are calling a local number. A variety of cool features can be found when the user is having a discussion with someone else. This includes sending a scrawl and a wink which is a new feature. Audio recordings are possible and can be sent during the discussion. As for the educational feature on this application is that student will be able to share content towards their classes and help each other if students are stuck on questions. In addition, studnets will be able to stay in touch with their teachers and get new content if need be. The business potential on the mobile phone is the groups. Businesses will gain a huge advantage by creating groups on viber and sending out live content. Customers will be able to join the group and have access to content that reaches the customer immediately. Whats app is a great free appplication that is used for communicating between people. The fantastic thing about whats app is that individuals are able to have free calls and also send messages between each other. All that is needed is that the other person on the other side of the phone have the same application. Furthermore, as you chat with people the application allows people to use things such as attachments, for example photos, videos, audio, location that is where you are or where you would like to show someone where you are, and contacts. If someone is feeling very lazy and they don’t want to type on their mobile phones, then they can use the record audio option. Thus, the option of having a conversation with another person just having recorded text allows for a simple and easy text. As for educational purposes the application can be used for groups as sharing videos to solutions and also sending links to students to check out new information. The application would be extremely useful for language classes as students will be able to chat, and play around with a language and still be social. The application is great for individual use, however businesses are able to use What’s app. Businesses are able to use what’s app by creating groups and keeping their groups up-to-date as to what promotions or new items are up on offer. Businesses will be able to stay just beside their customers as they are just a text an audio, video, or audio away. It is a great option to interact with your customers and get to know them. Is your e-reputation on top? How is it worth it? Vine is a short video sharing web-site that allows people to share their moments and day to day activities. These captions include jumping into swimming pools, creating a funny video or, creating a video that could set up future trends. Thus, the service is great for short ads as the duration of a video is only 6 and ½ seconds long. As a business or for educational purposes, vine can be used to promote short clips of employees, guests or the establishment. As for educational purposes, vine can be used to share ideas as to solving problems to a question. Furthermore, coming up with new ways to solve problems. Vine is easy to use as all you require is a Vine account and a smart mobile phone and the vine application on your phone. Then you will be able to create a variety of videos to upload onto your vine account and share it with the whole world. 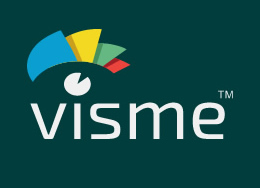 Visme is an online presentation platform that is used for creating presentations. These presentations can range from business presentations, to analysis, and school presentations. The fantastic thing about visme is that infographics are present and they are animated. This allows the creator to capture your audience’s attention. The infographics are eye catchy and the presentations created on visme really hook your audience. Furthermore, as for the presentation platform videos, pictures, music, and text are all included in which drive home your point to your audience in interesting ways. Moreover, the option of managing the layout of your presentation allows for smooth sailing to create a powerful presentation. As for a recommendation I think that more features should be added like more animated features such as people and items. Overall the online presentation platform is great to use. First of all, what is ORM? It stands for Hotel Reputation Management, is a practice of monitoring and positively influencing the image of the hotel throughout the web. So as you can see Online Reputation Management occurs after the guest stayed at the hotel, it can harm a lot when they write bad reviews, however this can have less impact by using mobile advantages, for example sending an E-mail directly, a short call any type of contact after their departure or during their departure asking about their stayed, making them personal so guests can tell you directly what is going on with their stay.